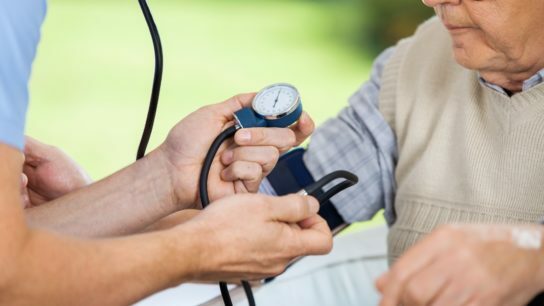 Normalized blood pressure is associated with an increased risk for all-cause mortality for older adults during hypertension treatment. Elderly individuals treated with antihypertensive medications and have a SBP of ≥130 mm Hg display less cognitive decline after 1 year compared with individuals with an SBP of <130 mm Hg. Renal sympathetic denervation significantly reduced blood pressure compared with shame procedures. The benefits of reduced blood pressure following renal denervation surgery are maintained for at least six months. Ranolazine potentiates the effects associated with ACE inhibitors, as well as angiotensin receptor blockers. An analysis found comparable clinical outcomes among patients who initiated generics vs those who were treated with brand-name drugs for chronic conditions. 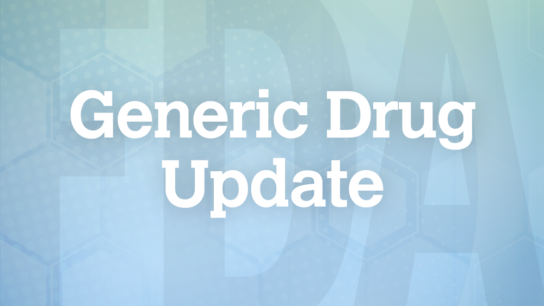 The FDA has approved a new generic version of Diovan (Novartis) that does not contain NDMA or NDEA, 2 potentially carcinogenic impurities identified in several recalled valsartan products. Docosahexaenoic acid supplements given to mothers during pregnancy may lower systolic and diastolic blood pressure associated with overweight and obesity in their children.